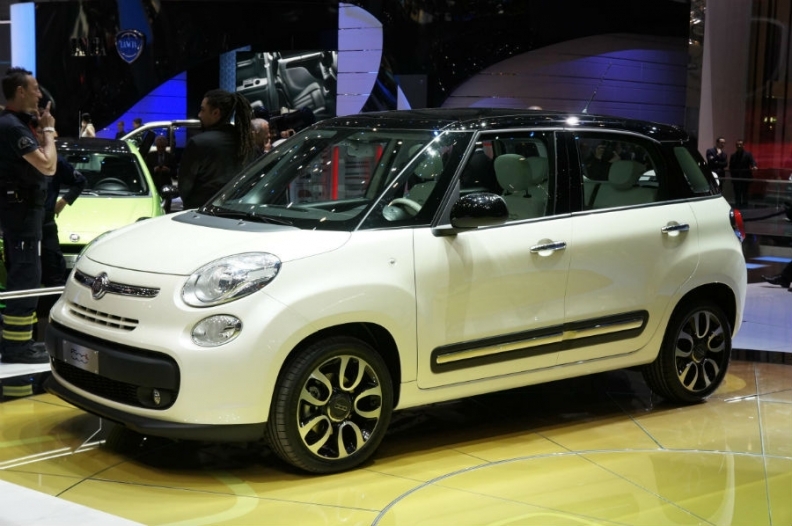 The 500L, shown here at the 2012 Geneva auto show, is the fourth variant of the 500 minicar range. BELGRADE (Reuters) - Serbian Prime Minister Aleksandar Vucic said there was a possibility of an export quota being agreed with Russia for Fiat cars manufactured in Serbia. Exports to Russia from Serbia have high customs duties because a free trade agreement between the two countries excludes automobiles. Serbia had asked in the past to include cars in the free trade agreement to make cars made in Serbia more competitive in the Russian market, but the request had not been granted. During a visit to Belgrade by Russian President Vladimir Putin on Thursday, Vucic said: "Good news for the people of Serbia. We will have a certain possibility to export a quota of Fiat (cars)." The Fiat plant in the central Serbian town of Kragujevac, began producing Fiat's 500L family in July 2012. Its main export markets are the European Union and United States. Vucic gave no further details on the size of the potential quota or whether cars would be included in the existing free trade agreement. "Taking into account our good ties with Italy we could agree over export quotas to Russia," Putin said at the beginning of his meeting with Vucic. The move could provide a big boost for Serbia's ailing economy, which is driven in large part by Fiat exports. Last month the Kragujevac factory halted production for several days to adjust to weak demand in the European market. The plant, which formerly built Yugo cars, is a 1-billion-euro joint venture 67 percent owned by Italian automaker Fiat and 33 percent by the Serbian state.